Why is it so hard to keep things straight in our shops? How much time do you waste looking for all the things you need to get cars done? The example pictured above is a Buffing Cart. 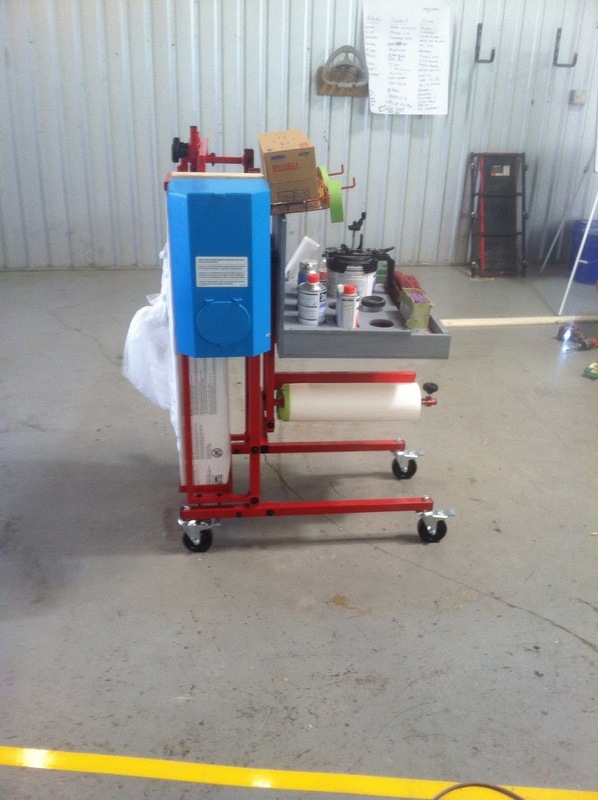 It’s an example of a “point of use cart” that has been very effective in saving time and wasted materials. I’ve worked with a lot of customers to develop custom solutions for visual organization. Any time you work in a group of people with overlapping tasks, staying organized is a challenge. The true test of an organizational system is how long it stays that way! Anyone can clean up a work area and increase the appearance of orderliness, but it takes thought to build a system that produces consistent results. Experience has led me to a few simple rules that will hopefully help you in your business. If you are trying to influence people to a shared vision, start by making the solution benefit each of them. After all, they will be the one to use the solution day in day out. If you involve the people in the creation of the solution, they will contribute and accept the final process as their own. 3. Optimize. Focus on the cost not the price. 4. Make it Visual and Vertical. Every product needs to be organized visually on the cart. Don’t leave any question as to the precise location of each product. If you have 3 boxes of sandpaper, cut square holes where they go and put a picture of the box in the bottom of the hole! Oversimplified? Yes. Effective? Absolutely. You will notice in the picture, we streamlined the products to 2 compound bottles, a trigger bottle of 50/50 alcohol and water (cool trick for final cleanup to make sure you didn’t just fill swirl marks instead of eliminating them), a trigger bottle of plain water, glass cleaner, and trim black. Notice that these round cutouts are on a flat surface? Every other surface is vertical with good reason. Its hard to pile trash on sloped surfaces. Notice the cutout for the dedicated detail DA? Its round like the pad so it says to everyone “the DA goes here”. The plastic box holds 4 microfiber towels, one for each step of cleanliness. Have you ever had a tech final wipe a car with a rag that had compound on it? What about buffing pads? They need to be ultra clean. Put them in a dedicated plastic box, again with a picture of the pad on the box. 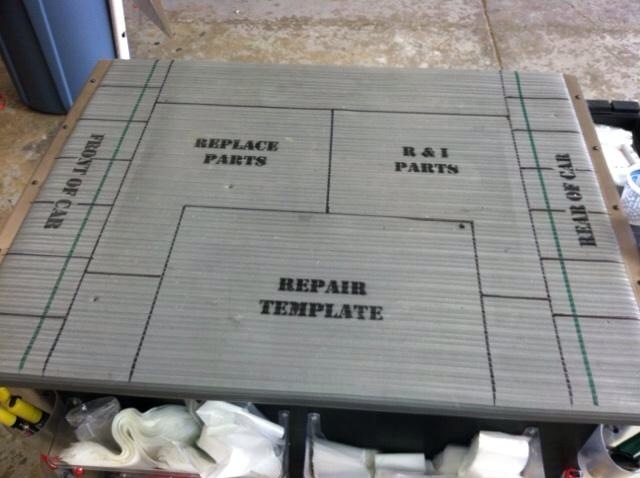 (How many times have you walked through your shop and seen a buffer laid on its back with a pad facing a sky full of flying dirt,metal and other nasty scratchy particles?) Organize everything on the cart this way, use magnets, velcro strips, zip ties whatever it takes to make it easy and visual. If you want the cart to roll around the shop, rip those little 3″ plastic wheels off and put some 10″ 4X4 cushion tires on it. Many shop owners I’ve worked with try to solve problems by adding rules that no one will follow after the boss gets tired of enforcing them! Don’t expect your people to use a solution that makes their job harder! Just make it easy and they will love it. 5. Don’t expect to just buy your solution on the internet. 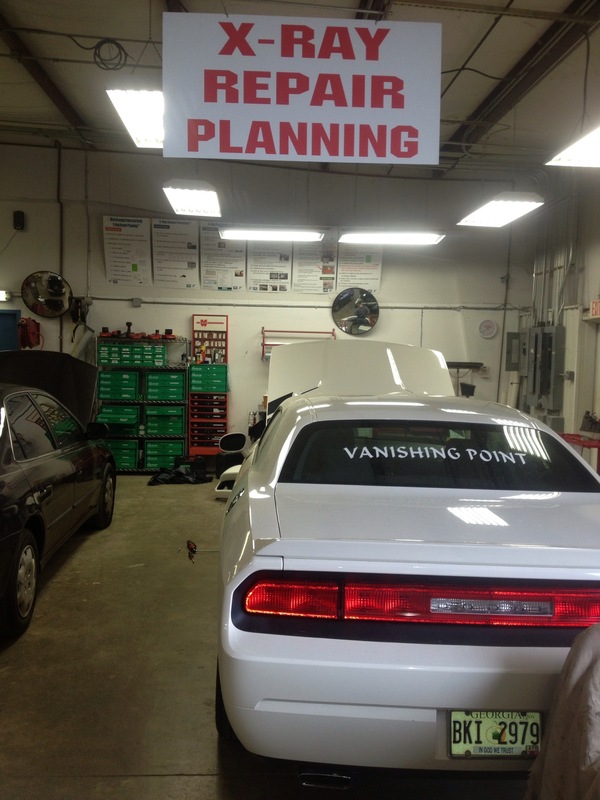 There is not a company out there that can offer your shop the perfect organization solution. Buy something that is 75% there and make the rest work for you. Home Improvement and Craft stores have lots of solutions, just keep your eyes open when your out. We found the DA pad boxes at Hobby Lobby! The Container Store is also a great place to find storage solutions. I truely hope that you enjoyed this information. We love to solve problems for customers. If you enjoyed this, feel free to share it. Also, you can subscribe to our blog by just clicking the subscription button and entering an email. Collision Edge will do our best to keep bringing you New Solutions to Old Problems! Our website is http://www.collisionedge.com Check out “The Tape Thing” if your there! If you want to get paid, get organized! Increased OEM competition has driven the complexity of our car color palette to a whole new level. New technology has our painters spraying more and more highly specialized colors that contain pigments can be crazy expensive. You may not realize this, but 30% of the materials you buy are toners. Color is one of the main components that makes or breaks a shops material profitability. Today we are going to briefly explore a few points that will immediately change the game for your shop. So here is a scenario I’ve seen many times. A car comes in the shop. We rip it apart, order some parts and work on it typically 1.5 hours a day for 10 or 12 days. (another subject entirely) When parts come in and we send them to paint. Now the paint shop just wants to get the parts back to the bodyshop asap so they hunt up and mix a paint code. (Hopefully its on the part or we are going to waste 30 minutes hunting for the car and the code!) We then mix the main formula and “cut in” the part. Have you ever thought about this process? “Cut in” is the process where the painter edges the parts with sealer, color and clear so it can be hung on the car. The leftover catalyzed sealer and clear ends up in the waste drum and most likely the left over base coat goes into a big cabinet I like to call the “Color Graveyard”. Lets evaluate the waste here. 1. No paint code supplied. How much time does that cost? 3. We had enough material left in the gun to seal, base and probably clear the entire part but because the body men don’t like to install painted sheet metal we only did the edge or underside. Take control of the job in the beginning. 1. Identify the exact color that you need. Put the color chips in your tear down bay if you have to, but get the color picked early. 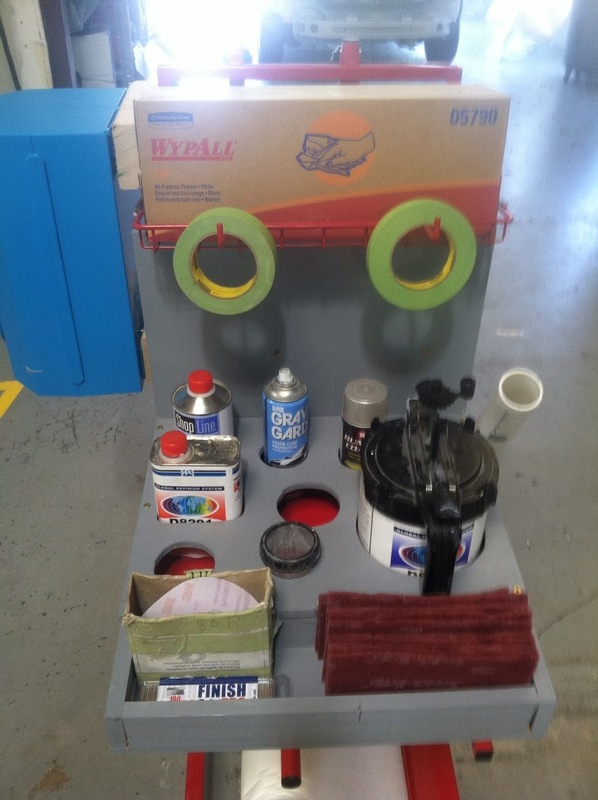 Add a visual communication cue to the paint shop that a color needs to be picked in the body shop. It can be as simple as a colored bulb in the mixing room 3 way switched from the body shop. Whatever you can do to stop walking, make it happen. There is nothing wrong with preparing a spray out card at this point, changing the order of operations can save a lot of headache later. 2. Document the paint code visually wherever you decide, but put it in the same place every time. Many shops use the windshield. 3. Check with your paint manufacturer for their list of codes that contain specialty pigments. Cross reference your code with that list to determine if you need to add a supplement for materials. 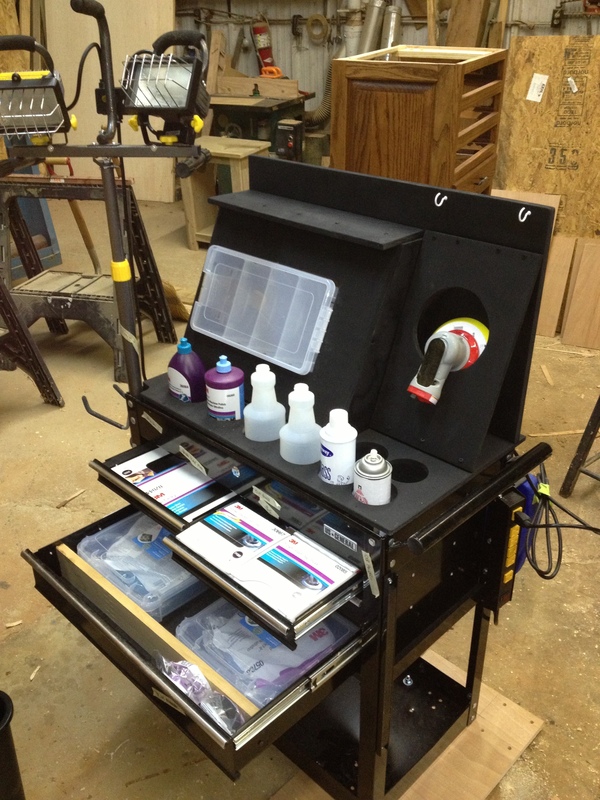 Use your paint computer to track your material cost on those jobs, print an invoice and you will get paid. Just a suggestion, don’t beat up your insurance guy for nickels. It only makes it tougher to get paid when it’s time to collect legitimate dollars. I got involved with a job that required a $1500.00 material supplement on a a Porsche. The car had color shift pigment in it and the shop owner told me that the major insurance company would never pay it. I called the adjuster myself and explained the situation. A phone call plus an invoice from PPG’s Paint Manager saved this job from being just painting practice. The shop didn’t lose money, in fact the supplement included a legitimate markup for materials. 2. Paint entire parts off the car. If they match and they don’t get damaged during assembly you just saved a booth cycle. If it gets damaged or doesn’t match perfect its ok, because its easier to spot or blend adjacent panels than to seal, base and clear entire panels. Remember each coat of product applied in the booth takes on average 5 minutes. Painting parts up front complete eliminates a lot of booth time even if the car has to go in for a second cycle. Ideally the blend panels go in the booth at the same time as the part and the car never goes in the booth at all. This is a stretch for shops that are still paying techs to produce hours instead of cars, so I don’t talk about it a lot. Either way the goal is to improve booth utilization. 3. When you are sure the paint is not needed anymore, don’t dump it out! If you are not using catalyzed color, combine left over base coat into 6 or 7 gallon containers with with agitator lids installed. This way you can use your Whites, Blacks, Reds, Silvers, etc. as base colors for other jobs. The result, you won’t have to mix as much of the right color for the next job. Try not to ever waste color, its too expensive. I hope this information was helpful. Please feel free to Comment, Share or Follow out little blog. We can all learn a lot from each other. 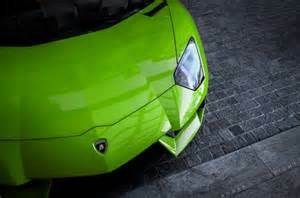 Body Shops – Part 2 Increase your odds of getting paid for what you do in 2015. If you want to get paid, get organized. Lean – I spend a lot of time working with shops and I refuse to use the word. It's the most overused buzzword in our industry today. Its what everyone wants to be, what some claim to be and what I'm convinced no one fully understands! Common Sense. Now there is a concept we can wrap our heads around. I have sat and watched both shop and insurer try to figure out how to fix their problems…In the end mainly by passing the buck around. 80 percent of every process is waste. Documented evidence suggest that the average RO involves 2.5 miles of walking by the sum total of steps involved in the repair process. Consider a $2000.00 RO. If we loose $50 in labor or parts what is the impact? 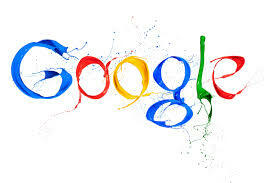 If a shop normally net nets 10% (easily do able) the business made $200.00. Now take out the $50 and you've just given away 25% of the reason your in business! Our industry is being held back by the mass of shops that are fixing cars for practice because they don’t know any other way. Shops that are organized and do a good job with disassembly write better tickets and have better cycle times (cash flow) than the market. As a result these shops have a slightly higher severity than the rest of the market and are unfairly judged against a market full of shops who are unknowingly giving away their thin margin to massive disorganization. This whole process is feeding consolidation at an unprecedented rate. I want this blog to be a place for us to solve problems. I believe there is strength in us helping each other because no one has all the answers. If you and the other big shops in your market are into learning and sharing, subscribe to this blog and lets solve problems together. I may be the only one that feels like this, I hope you’ll see the point here. If someone were to tell you that you they had documented damage under your home that you needed to pay to have repaired, you would want to see the evidence, right? 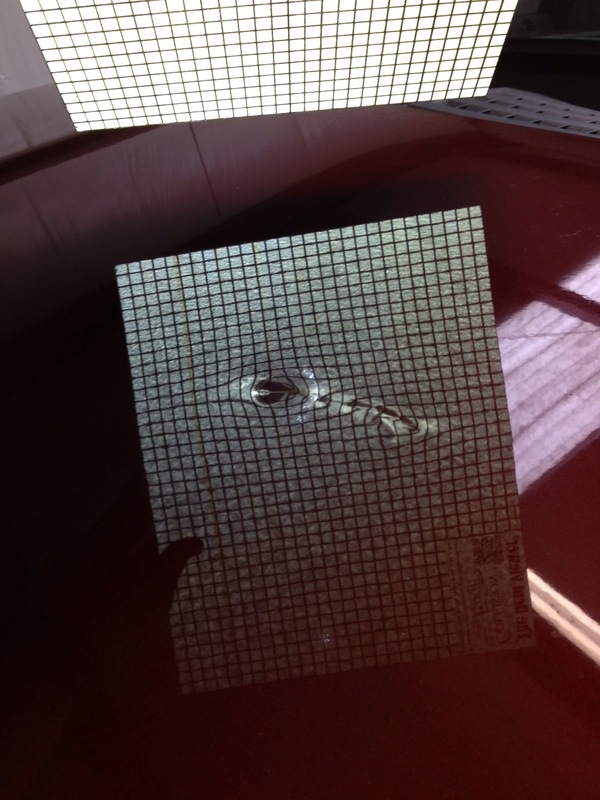 The proof of the damage in a photo would have match with the money you would pay to fix the problem. So if your repair person came to you with dark inconclusive images of the damage they discovered, how likely are you to pay them to do the work? Exactly. Yet every day body shops are sending up inconclusive evidence of subjective damage and complaining about the time that is paid on repairs. Now before some of you get upset, I'm not here to side with our insurance community or collision centers. In my time, I've come to realize that both parties have process issues. Agreement on labor time for subjective damage begins with clear, accurate pictures. I invented "The Dent Viewer" to aide both the body shop and insurance company in agreeing on at least "the extent" of the damage. The Dent Viewer is a waterproof pvc board with a printed reflective film that grabs the flash and casts light and a grid across the panel. The results are impressive. Please keep sending your comments and suggestions for new solutions or products! Why do we make things so hard? I’ve been fortunate to have observed technicians working all over North America for years, as a whole they are hardworking people who are driven to make ends meet. Generally paid when work is produced, they churn through as much work as possible daily for a paycheck on Friday. What is getting in their way? …EVERYTHING! People (especially men) are visual, so organize that way. Where is the broom and dustpan? If the techs have to look for it, are they going to use it? “NOT!” The best solutions are the simplest. Put the tools at their “point of use” and store them in a way that makes it easy to visually verify that they are stored properly. We invented the cleaning station above to solve this very problem. The combination of numbers and shapes along with some thought on tool storage solved this problem nicely. The only true success test is if people actually use and maintain the solution presented to them. 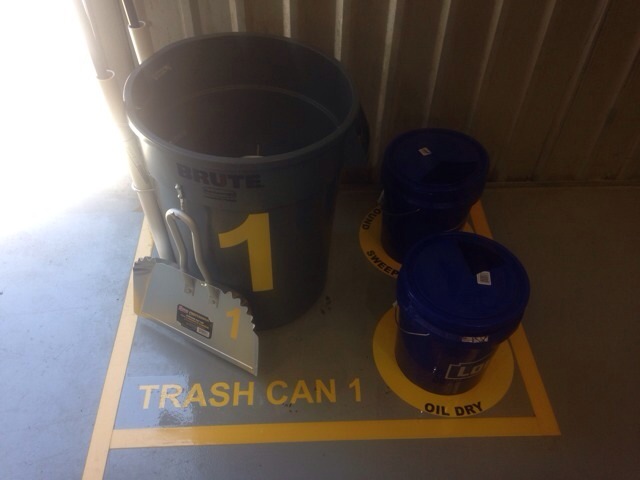 The 1 square contains the 1 trash can, the 1 detail broom, the 1 push broom, the 1 oil dry bucket, the 1 sweeping compound and the 1 dust pan. Yes this is over simplified, but very effective. When one fixes a problem permanently the payback is ongoing. If the tech has easy access to the cleaning tools he is 100 times more likely to use them. A clean shop is the first step toward an organized shop. The easier you make to process the more likely you are to reach your goals. The time I’ve spent with customers has taught me that you can’t buy a “management system”. I mean, there are lots of computer programs that claim to be “that” but it doesn’t make it so! If you own or are looking to buy a management system consider this… you have to have a system to manage before you buy a computer program to wrap around it. Most management systems are like the human brain. You only use 10% of them and if you feed garbage in, that is what comes out! If you cant work your process on paper, please don’t confuse your people with the dark corners of cyberspace. Consider this, every thing in your shop is a process. If you want to understand it, order pizza…get your people in a room (after hours! )…grab multi color sticky notes and a sharpie…make your own map. Each color is a different person in your shop. Start at the beginning…What happens first, then what, then what and so on. If you do this right, your first night you won’t even get out of the front office side of the process. You will realize quickly that you have multiple people doing the same job and some that are actually doing things that are counterproductive to one another. Once you have defined your process, make a form that follows jobs through your process. You will find that the process is easier than ever before and that you will continue to improve it as you go along. Just keep it simple! If you are looking for some examples of these forms contact me at http://www.collisionedge.com . We will be happy to assist you! Why I started Collision Edge? My name is Tim Briggs. My wife and I founded Collision Edge to seek out and solve problems for customers. This blog is an attempt to continue my work in a public way. Please feel to comment and share all you want; all Ill take from this is the satisfaction of knowing I’ve helped make life easier for a few more collision professionals. We named our company Collision Edge because the body shop is not as easy a place to make money any more. The profits have all been pushed to the “edge” of our existence where fewer and fewer shops can perform “the old way”. I’ve sat through thousands of hours of the same old training to help shops improve their business. Its like a weight loss program. Most of us know what we should be doing, very few of us are actually capable of leading the change in our local businesses. If you will follow me, we will try to uncover and solve problems together.